Drug Resistant Bacteria – A Medical Problem. For at least three decades, infectious disease specialists in public health agencies have warned of the dangers of emerging drug-resistant pathogens. Given the opposition to indiscriminant use of antibiotics in livestock production, regulatory authorities have increasingly restricted administration of antibiotics, and especially those of human health significance in livestock production. An article in the January 26th edition of The Economist clearly demonstrates that the problem of drug resistance is associated with medical facilities which have become contaminated with drug-resistant organisms including MRSA (methicillin-resistant Staphylococcus aureus) and CRE (carbapenem-resistant Enterobacteriaceae). In a hospital setting, patients infected with either of these drug-resistant bacteria may suffer a 50 percent fatality rate. The article compared the mortality rates in EU nations expressed as deaths per 100,000 attributed to antibiotic-resistant bacteria in 2015. Heading the list was Italy with 18 fatalities per 100,000 followed by Greece (15) and Portugal (11). The Netherlands was highlighted on the basis of a low rate shared with Scandinavian and Baltic nations with fatality rates in the region of 1 per 100,000. The measures taken by hospitals in Holland to reduce the incidence of nosocomial infections (acquired in medical facilities) attributed antibiotic-resistant organisms represent the application of practical epidemiology and in most cases, common sense. An important precaution is to screen high-risk patients as to their actual pathogen carrier status when admitted to a Dutch hospital. It is considered significant that patients with a history of contact with farm animals are subjected to routine evaluation on admission and are isolated in a private ward with a high level of biosecurity until shown to be free of infection. The Dutch model includes training in personal procedures including frequent and diligent handwashing, wearing protective clothing and decontaminating bedding and items coming into contact with patients. High rates of nosocomial infection are associated with failure to follow appropriate hand washing and biosecurity procedures. After an upsurge in cases of hospital infection in the mid-2000s under the U.K. government health care system, procedures similar to those used in Holland were introduced, reducing the incidence rate of fatalities to approximately 3 per 100,000. 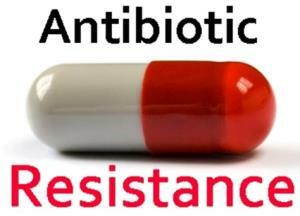 The problem of antibiotic resistance has shifted from industrialized countries to nations such as India and China where indiscriminate use of antibiotics in human health and livestock production has resulted in the emergence of drug-resistant strains especially against tuberculosis, salmonellosis, cholera and gonorrhea. Addressing the problem of drug resistance is not simply a question of banning the use of drugs and especially placing the onus on livestock production, the One-Health concept requires a change of attitude and also expenditure of resources and a change in attitudes in human health facilities. Subscribers can access numerous postings on antibiotics and drug resistance by entering ‘antibiotics” in the SEARCH block.